Enter your email here: Daily Dose of Painting is sent out by email up to five times a week. The email includes an image of the day's painting and gives details of posting and auction times. This is a free service that you can instantly unsubscribe from at any time. I decided to set up the still life station again and have a go. 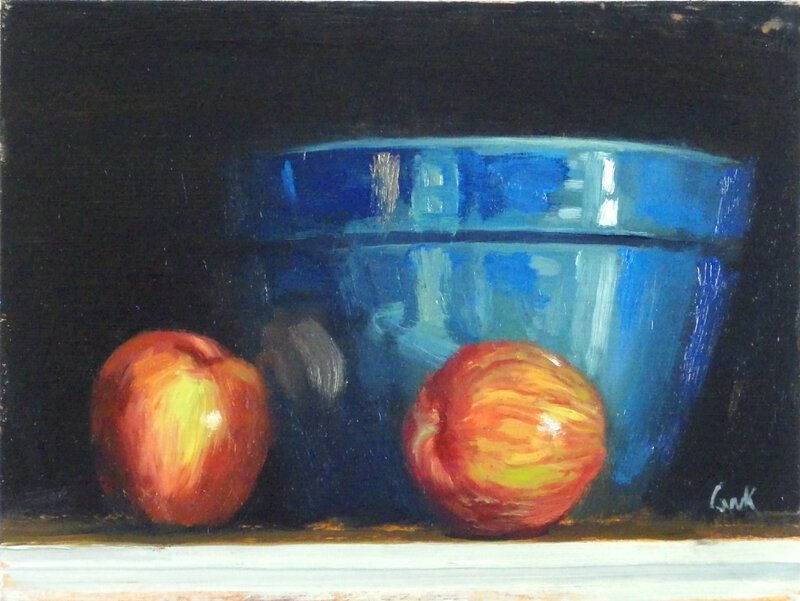 First up… my favorite bowl and two apples. If you would like to see this original 6″x8″ oil painting at auction click here, and to receive a little gem in your inbox sign up to the right. Don’t forget to confirm via email. Thanks!